I’ll assume you are looking for ways to work for bitcoin and get paid into your wallet. Well, you’ve come to the right place. There are many ways to get bitcoin, instead of buying bitcoin why not work for them. Bitcoinfella is about to show you several methods that you can use to earn bitcoin by working for them. Bitcoin is a huge industry and there are many jobs coming up ever since it started. Many bitcoin companies and non bitcoin companies need web developers, mobile app developer, graphic designers, writers, engineers, marketers and so on. If you have technical skills in almost any work related to the internet then you can be a freelancer. Providing your freelancing skills can help you a decent amount of bitcoin. Or even better work for bitcoin full time. There’s quite handful of freelance platforms or websites that you can sign up with and promote your skills. On this platform you will bit for a job you are interested in. Is always good to create a portfolio before applying for any of the jobs, it will increase your chances of being hired. XBTFreelancer is a 100% bitcoin freelancing platform where job advertisers all over the world can post for a job and freelancers can bid for those jobs. In this platforms you can find any types of a job that you can think of, from web design, seo, creative writing, app development, programming, social media management, logo design and more. It doesn’t matter what skills you have, you can bid for that job, win the bit and complete the task and get paid in bitcoin. The bitcoins will be sent direct to your bitcoin wallet. The bids on this platform can range from $5 to $5000. If your skills are good enough to attract more employers you can make good money. Sign up with XBTFreelancer and create a professional profile with your picture, and state your skills. Include samples of your work so that it can be easy for people to hire you. Coinality is bitcoin job board where people can post jobs and you as a job seeker can apply for the job. It similar to indeed, meaning you can get a part-time or full-time job and work for bitcoin companies. 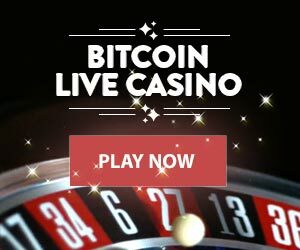 Some of the bitcoin companies you can work for are bitcoin exchanges, bitcoin mining, bitcoin casinos and sportsbooks. This is bitcoin job board where you can post a job related anything online. Most jobs posted on this jobs board are related to blockchain and they include serious jobs such software engineering, financial accounting, business management and so on. Cryptogrind is UK based freelancing platform were employers can hire dedicated freelancers and pay them in bitcoin. Indeed is also a place were you can get bitcoin jobs and apply for the. Big bitcoin companies tend to post jobs on this platform. Search for any bitcoin job on indeed that you can think of and see if there are no companies willing to hire you and pay you in bitcoin. Upwork is one of the biggest freelance platforms in the world. You can also find bitcoin jobs on this platform and work for bitcoin for a living. Bitgigs is also a bitcoin job board for any type of job including music, graphics, video, programming, tecnology, writing and advertising. Find any of this jobs on the bitgigs website and bit or apply for them and get paid in bitcoin. If you are good at writing then the following websites need cryptocurrency writers. This websites will pay in bitcoin for writing for them. Writing is another great way to work for bitcoin and get paid. Write for CCN, it is a cryptocurrency news website that breaks any big news in the cryptocurrency space. Bitcoin.com is a big website started by Roger Vir, this site shares anything related to bitcoin. If you have a thing for bitcoin and can write, then write for this website. Are you fluent in English? Do you love bitcoin or blockchain? Cryptorunner is looking for someone like yourself. Work for bitcoin in this website by writing cryptocurrency articles. I bet your mind is racing, you don’t know which platform to go for to work for bitcoin online. Well you can start anywhere, xbtfreelancer can be a good choice as well. Remember to create a profile outlining your professional skills and start marketing yourself. All in all, working for bitcoin is not that hard and you will never run out of platforms to choose from. There are many platform that are popping to help people find bitcoin jobs.